Arthur Bernard Eliason passed away on Jan. 6, 2019, at the age of 97 at the Royal University Hospital in Saskatoon, SK. Bernie, as he was known all his life, was born on Dec. 27, 1921, at Robsart, SK, to Norwegian immigrants Einar and Ingeborg Eliason. The ninth of eleven surviving children, he grew up on the family farm north of Kuroki, SK. He served in the Royal Canadian Air Force as an airplane mechanic at a training base in Quebec. After WWII, he attended Briercrest Bible Institute at Caronport, SK. He then returned home to farm and build a house on the half section of land he had purchased two miles west of where he grew up. In 1952 he met the local country schoolteacher, Hazel Dalshaug. Bernie & Hazel were married on July 17 of the following year and raised three children on the farm. 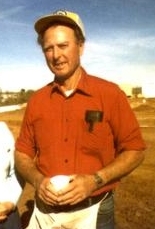 In addition to farming, Bernie pursued his interest in airplanes by acquiring his private pilot’s license. He also loved the outdoors and enjoyed taking his family to the lake for swims, picnics, and fishing. He served many years on the Kuroki Credit Union and Pool Elevator boards, participated at the Lone Tree, Kuroki and Wadena Baptist churches, and helped with the maintenance work at Fishing Lake Bible Camp. Following up on a stirring in his heart during his Bible School years for missions, Bernie retired from farming in his early fifties to help others get the Bible and Bible training in their own language. In 1974 he began volunteering with Wycliffe Bible Translators, helping with construction and maintenance in Brazil, Mexico, and Arizona. Bernie & Hazel also spent several winters in Texas at the Rio Grande Bible Institute. He never minded going South for the winters! In latter years he maintained contact with missionary friends through email and their visits. Likewise, Bernie never hesitated to help his family with his practical skills. His family will remember him as being a man of few words, but who led and loved through his actions. Bernie is survived by his wife Hazel of Saskatoon, SK, daughter Bernis (Jim) Ingvaldson of Bagley, MN, grandson Trent (Jennifer) Eliason and their son Edward of Regina, SK. Bernie was preceded in death by his sons Collin and Garnet and grandson Joel Eliason.